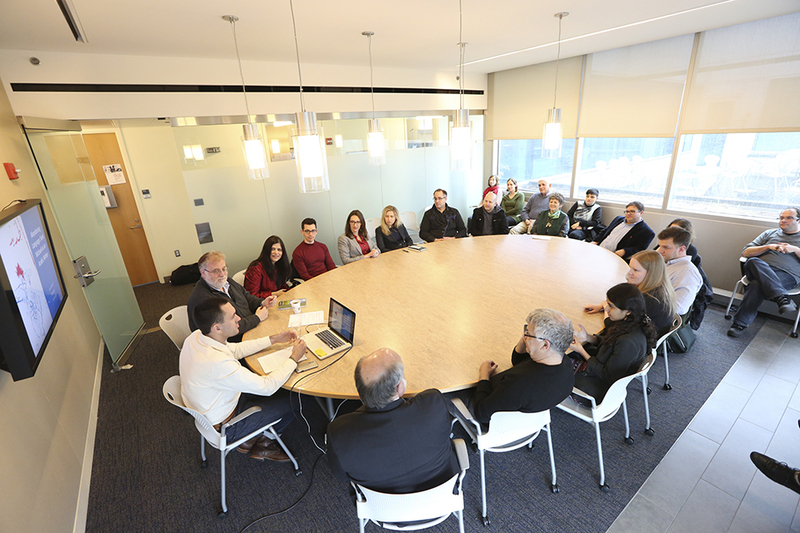 Schusterman scholars and visiting academics deepen their academic study of Israel in biweekly seminars. The Schusterman Center's biweekly Scholars Seminar on Israel Studies provides a multidisciplinary forum for our doctoral students, faculty and related scholars to deepen the scholarship in the field. By invitation only, interested participants are welcome to submit an online request to attend any or all of our upcoming seminars. Zvi Zohar, Bar-Ilan University: Why Don't Israelis in the Negev Observe Two Days of Yom Tov? Dorit Rabinyan: Dorit Rabinyan on her novel "All the Rivers"
Aviad Hacohen, Shaarei Mishpat Academic College: Freedom of Religion in Democratic Israel – Is it a Reality or Was it a Dream? Donna Divine, Smith College: The Middle East Conflict -- Is the Pen Mightier than the Sword? Dor Guez, Photography and Video Artist, Israel: On The Rose Art Museum Exhibition, "Dor Guez: 100 Steps to the Mediterranean"
Sammy Smooha, Haifa University/Brandeis University: Is Israel Western?